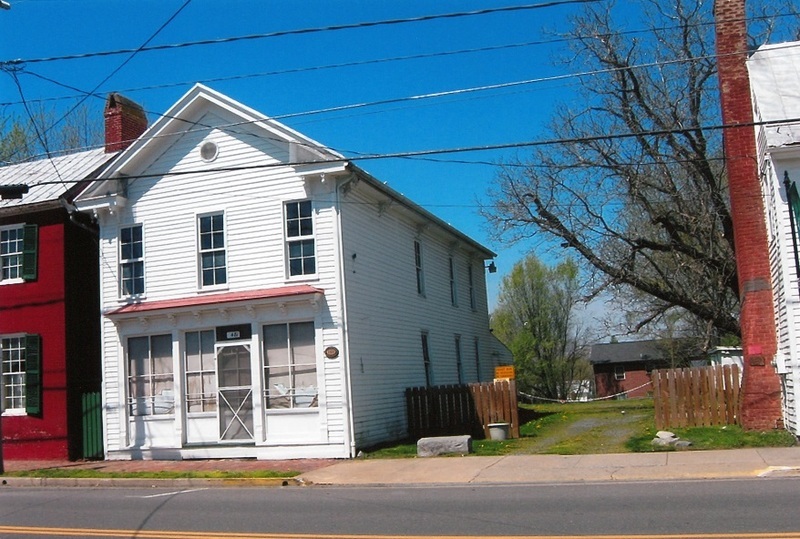 Located next to the Deary Tavern, this two-story building was built in 1855. It is constructed with wooden weatherboarding on the outside, a heavy embossed metal on the inside, and a layer of brick in between. 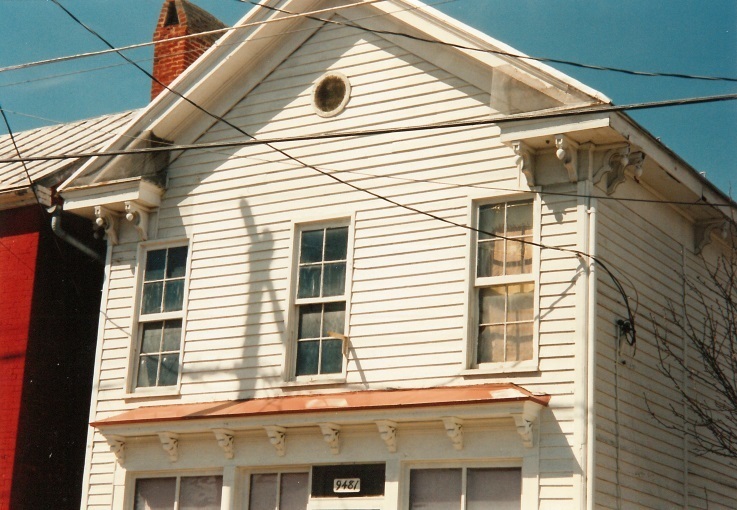 The building was first owned by Henry Theis. 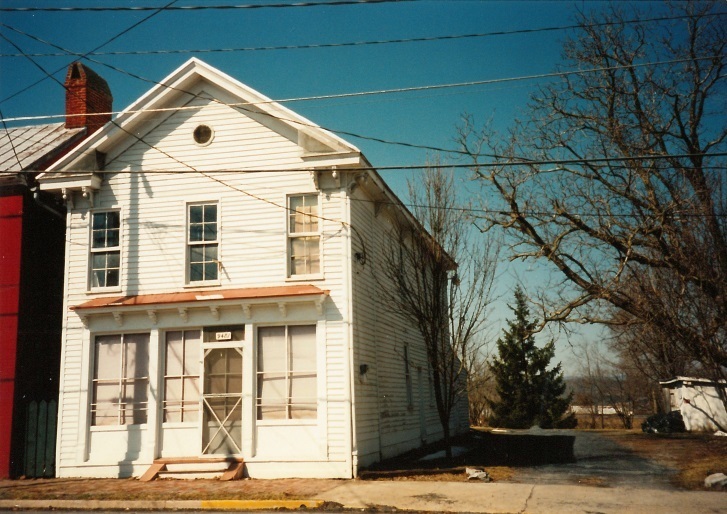 Henry ran a furniture company making cabinets with his brother, Christian at this location. When the Civil War began, Henry enlisted in the Staunton Artillery. He fought in many major battles in Virginia, as well as Gettysburg, was wounded at Cold Harbor, and was present at Appomattox when Lee surrendered. After the war, Henry, his brother, and Wiegen Ruhl continued to run their business, but at Henry’s home. The furniture and cabinet company remained open until 1889. The building was then sold to the Cushman Brothers. The Cushman’s were carriage and wagon makers. As the brothers got settled, they renovated the house to accommodate their business by adding double doors that went all the way to the ceiling of the ground story to allow the removal of completed carriages. Slanted wooden tracks were also added for the carriage wheels and can still be seen today. After the Cushman’s sold the house it was briefly a blacksmith’s shop. 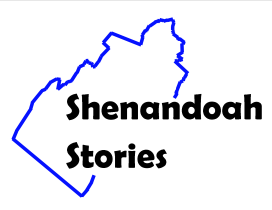 , “Carriage Factory,” Shenandoah Stories, accessed April 25, 2019, http://shenandoahstories.org/items/show/309.